here's one for ya micke, my absolute favourite piece of music from twin peaks, "dark mood woods"
any idea what synth / effects angelo is using here? the dark string pads. He did use a Prophet T8 as his master keyboard, but he didn't actually recall using it for any sounds other than the wind. Angelo used the Korg 01W "Analog String Pad" sound a lot (like on The Actor's Studio theme for instance), but that was after Twin Peaks. Thanks for that link, Micke. I just watched it! Last time I found this online it was only posted at 360 or 480. Rare for an older movie to be posted at 720P! It has an unusual touch input, keypad. It could have been used for part of the spaceship control panel, in the movie.. I find it interesting that Buchla and Moog simultaneously invented their own modular synthesizers in 1963.. Each having notable differences in timbre sound generation architecture. If you haven't seen it already, you need to check out the documentary "I Dream Of Wires" which is now available on Netflix. 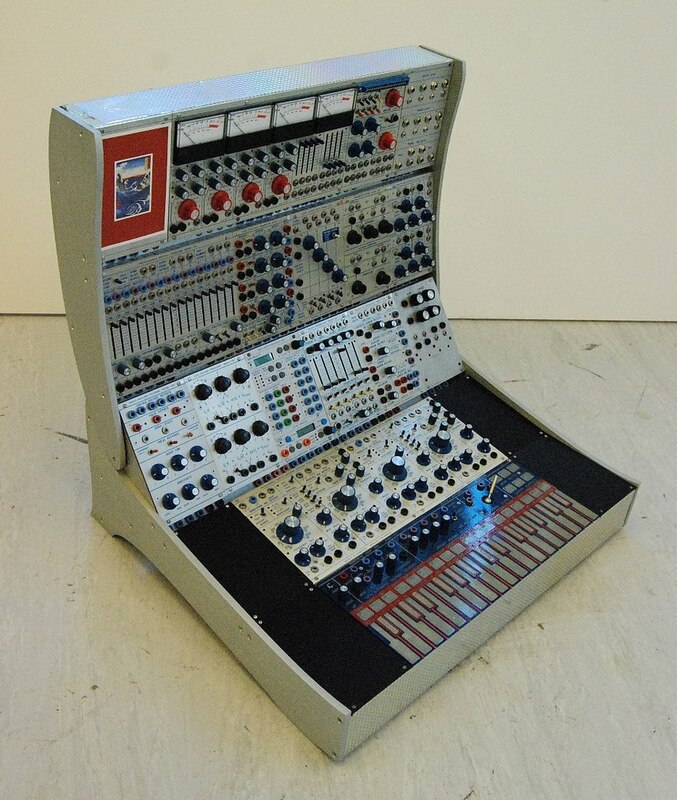 It explains the whole history of how and why Buchla and Moog approached their systems the way they did. Did you ever make a post detailing what synths were used for the Madman Soundtrack? The score was primarly created with an Oberheim 4-voice, a large Buchla 200 modular, and there's also some samples from a Fairlight CMI I. Electric Dreams 1984.. Just watched this on the tube, tonight. I had not seen this movie since the 80s..
Giorgio Moroder worked on this soundtrack. Micke, might know the equipment he used for this one and the song he made for the movie, "Together in Electric Dreams". Loving Virginia Madsen, in those vintage Levi's 501 jeans! Moroder did the instrumental underscore and two songs (Together in electric dreams and Now you're mine). The film also contains a number of songs from other artists/bands such as Jeff Lynne, Boy George/Culture Club, Heaven 17 as well as some classical pieces by Bach, Rossini and Tchaikovsky etc. Arthur Barrow played synths and Fender bass on the two songs by Moroder. As far as Together in electric dreams is concerned, the Jupiter-8 does virtually everything synth-wise except the bell sound (DX-7) and drums (Linndrum). Barrow also had a Serge modular, Emulator and an Oberheim Xpander at the time but I don't think he used them for these songs. IIx, jup-8, PPG wave 2.3, a couple of Roland MKS-80's and a Linndrun II. These are the only tracks from Moroder's instrumental score that made it to the soundtrack album. to an Oberheim SEM module, custom Oberheim 6-voice, Polymoog, Prophet 5 rev 1, Yamaha CS-80 and a Bode vocoder. I just realized that no one has mentioned Mark Isham's hybrid electronic/orchestral score to Never Cry Wolf yet (at least not in this thread). The score is simply great! Synths used included a Prophet 5, ARP 2600 and Oberheim 2-voice. My favorite Mark Isham score has to be the one he did for the horror flick The Hitcher (1986), awesome stuff! 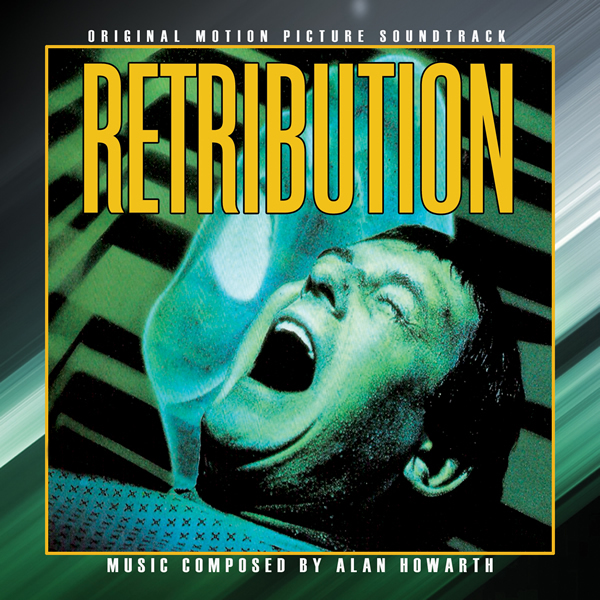 Alan Howarth's synth-score to the supernatural thriller "Retribution" (1986) has finally been re-released on CD in expanded/remastered form. (as well as Halloween IV) I'm sure you'll enjoy this one too. Retribution is a solid listen. I haven't checked out the reissue yet, but will have to. I am a little more partial towards The Lost Empire, from a couple of years earlier (1984). The release I have contains both scores. What I really still need to do though, is watch both movies! Micke wrote: My favorite Mark Isham score has to be the one he did for the horror flick The Hitcher (1986), awesome stuff! Swayze did his own stunts! tomorrowstops wrote: Retribution is a solid listen. I haven't checked out the reissue yet, but will have to. I am a little more partial towards The Lost Empire, from a couple of years earlier (1984). The release I have contains both scores. What I really still need to do though, is watch both movies! As for "The Lost Empire", I recommend you get the expanded/remastered double CD because it contains the complete film score on CD1 and the soundtrack album on CD2. Also, the sound quality of the new release has been improved considerably. Last edited by Micke on Thu Oct 22, 2015 6:31 pm, edited 1 time in total. of the SEM's were brought out to mini-jacks. Very nice indeed. The overall style of this track somewhat reminds me of the main theme from the much earlier "Never Cry Wolf" (which I posted above).